Getting engaged is one of the important moments in your life, and whether you are the person proposing or not, both parties want it to be perfect. This is where a bespoke engagement ring would be the ultimate choice. With a bespoke engagement ring, you know that it is unique, no one else will have the same ring, and that, of course, makes it even more special. Today on my blog, I am speaking to Darren and Caitlein from Bejouled. 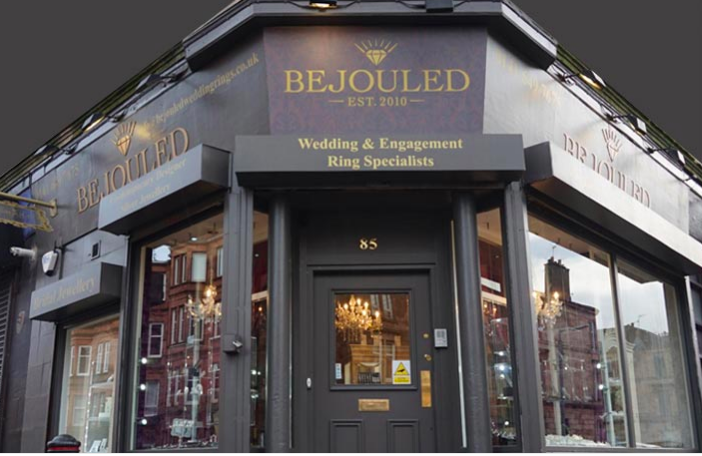 Bejouled is Scotland's premier destination for bespoke wedding and engagement rings. 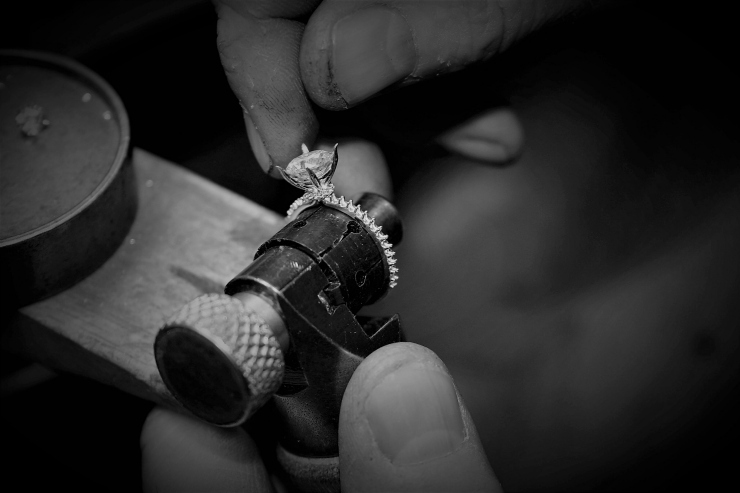 Darren was trained in Hatton Garden in London, home to some of the most respected jewellers in the world and in 2010 he opened his store in Glasgow. Bejouled's focus is on the memorable experience and creating something completely unique to each individual couple which suits both style and budget. Thinking of proposing to your other half? Or are you looking to pick your own Engagement Ring? Forget the high street! As we always say, bespoke is best and no one does it quite likeBejouled. 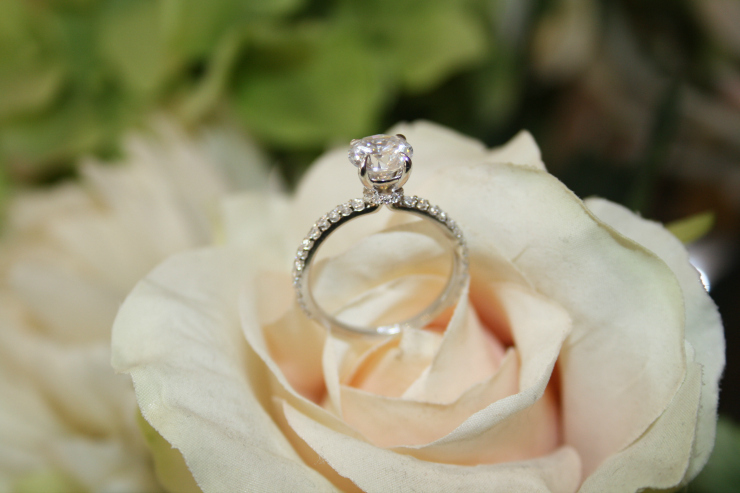 From sparkling vintage designs to classic Solitaires, we have something for everyone! Many think that custom designing your engagement ring is more expensive and time-consuming, but that is far from the case! 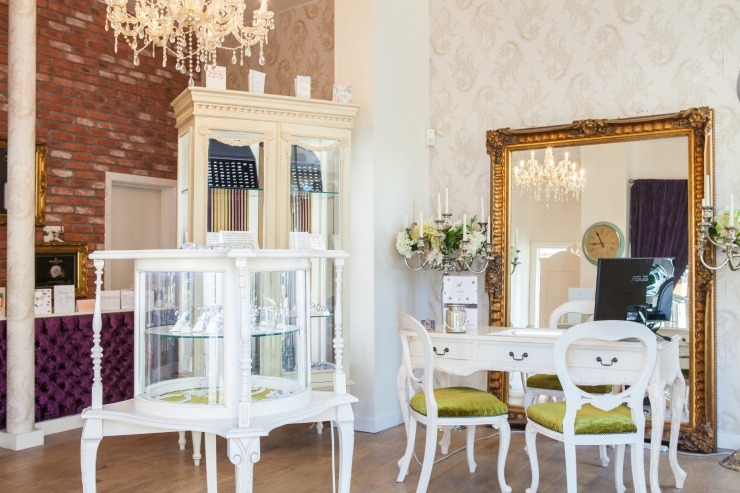 You are in total control and we will work with you on style and budget, assisting you in everything from selecting the all-important centre stone to choosing the final setting. But don’t just take our word for it! We have spoken to a previous customer, Lee who came toBejouled in search for the perfect engagement ring for his bride to be Charline! We helped him from start to finish and the final outcome was truly stunning! What made you decide to go bespoke and have your Engagement Ring designed by Bejouled rather than simply walking into a high street store and buying one? Do you think it made it more special? Lee: I liked the idea of having a bit more control and flexibility over choosing a specific stone and then having the ability to combine that with a unique setting. It also left the option of the setting open to discussion and change after the proposal. Bejouled provided me with a silver sample which I chose for the engagement. Luckily Charline loved it and in the end, there were minimal changes to the design although it was a huge reassurance to have the option there. Lee, did you have an idea of what you were looking for before you came to Darren at Bejouled? Lee: I had a rough idea in that I was keen on a solitaire style setting. Little did I know how many variations and further options were possible. Darren and Caitlein made the process nice and easy with the information I had provided and were very patient with me. It was a tough decision! Was your partner involved in the process and did they give their opinion on the design? Lee: Charline was involved in the process after the engagement. As I proposed with the silver sample, there was then an opportunity after, for Charline to have an input in the final ring. As I mentioned before, luckily she loved the design. What was your favourite part of the design process? Charline: I loved the fact Lee and I could both go into the shop, sit down and have a chat with Darren about exactly what we wanted. The only thing we changed about the ring was the setting was a bit lower. The fact that Darren was so easy to work with and made the process all very fun and exciting like it should be. Charline: We were lucky that it all went very smoothly, Darren was very busy but always communicated with us and always made time to fit us in around our hectic schedule. Would you recommend going Bespoke to others? If so why? Charline: I always walked past the shop and was drawn to the beautiful jewellery in the window but never knew that everything was made by Darren. The fact you can design your own ring or have an idea and have it made is incredible. The finished product is perfect and working with Darren and his team was a pleasure. Very reasonable pricing for the service you get. It was also useful looking at past commissions to get an idea of what the company could do. Charline, what do you think of our gorgeous Bespoke Engagement Ring? Charline: I love the way Darren has kept the classic look of an engagement ring and added a twist with the halo of diamonds underneath the centre diamond. I have never seen anything like this and love how unique it is. I am in love with the ring and its modern twist on a classic beauty. Finally, tell us your proposal story? 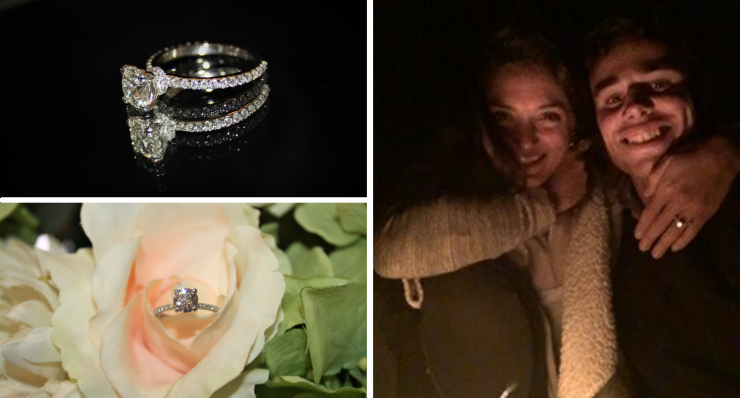 So if you are looking for your dream ring, get in touch today and start your Bejouled Love Story…. Yes, as you say the thought process is so precious and finding a respectable and creative jeweller that can make your ideas reality is so important too. A lovely ring is really a special part in every engagement. Personalized ring sounds really nice! I'll refer this to my friend for sure. It's so beautiful. I love that you can have any kind of jewelry made and personalized. That's definitely special. These engagement rings look magnificent and I am sure anyone who is ready to get engaged would love to head to Bejouled to have their ring customised and designed to how they want it. It makes it such a personal and unique service. You could probably have an eternity ring made too. I would have liked to have done this, but I also love the ring my husband chose. It's nice to be able to have something original. We designed our own wedding rings and if I am honest I would have loved a bespoke engagement ring too, this is beautiful!! This is such an amazing idea isn't it!? I love the idea of designing your own and having something unique. I must say your idea of making engagement ring is awesome. I was searching about some good stuff about fashion and found your blog very help full information shared. I love the idea of designing your ring makes it even more special! Awwww how cute to propose on a beach under the stars! I know, how romantic is that! ?